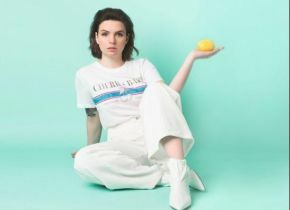 Emma Blackery can't remember a time before she wanted to make music. Since picking up her first guitar aged 12, she's self-released five pop-punk EPs, and performed at London's Wembley Arena and O2 Shepherd's Bush Empire. Now she is turning her attentions towards pure pop, with the release of her eagerly anticipated debut album, Villains.